Winter ladies fashion felt hat from the Max Alexander Collection. 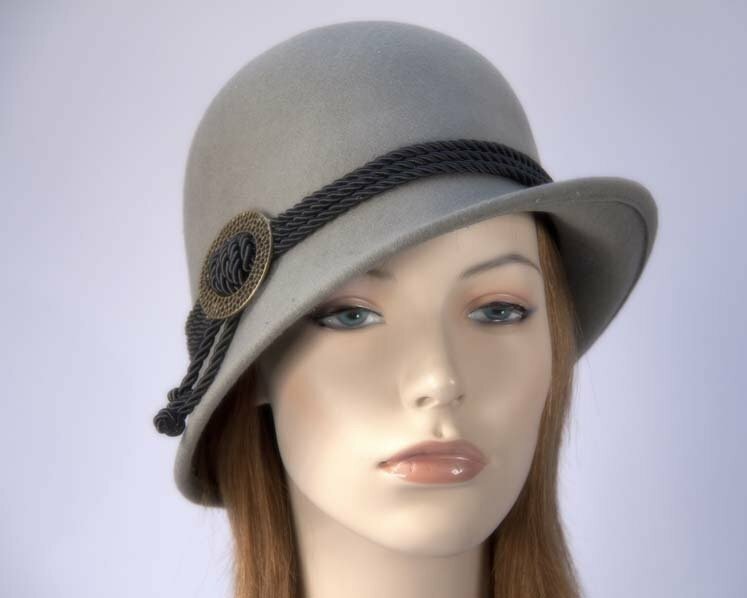 This elegant grey felt cloche hat from Max Alexander winter collection is made from pure wool felt with hand-made rope trim and pewter bucke. Hats from OZ — your one stop ladies fashion hats and fascinators online store!